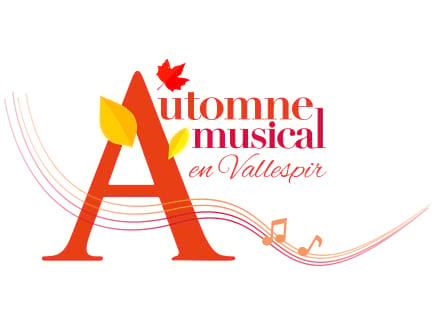 Back for it’s 9th successive edition, the renowned Automne musical en Vallespir (Amuvall) festival continues to promote and celebrate the best in regional, national and international music. Communauté de Commune du Vallespir. 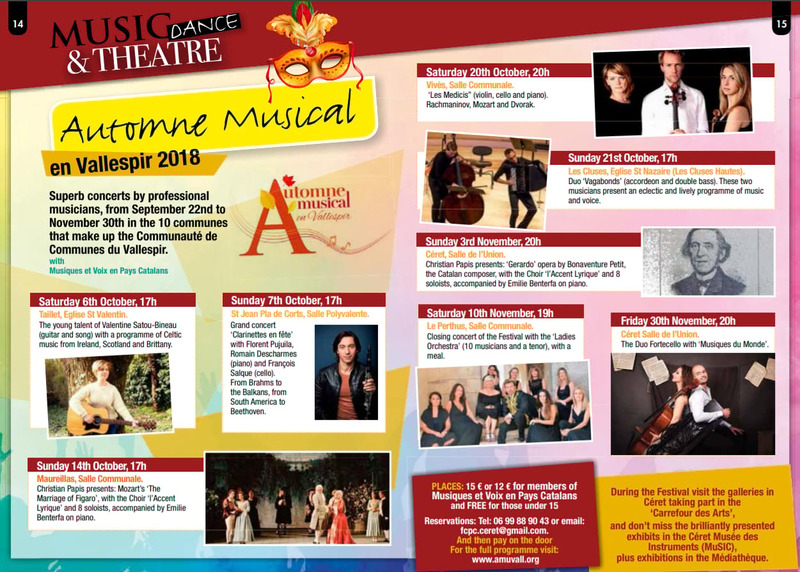 Artistic director, Christian Papis, shares his particular passion for classical singing and opera but also brings together a range of other genres and styles. During the festival, why not tie in the concert with a visit to the Musée d’art moderne or the Musée de MúSIC in Céret? And perhaps a little apéro or a meal in one of the many great bars and restaurants across the Vallespir. Saturday 22nd September, 20h, Reynes, Chapelle St Paul. The Catas Divas of Toulouse. 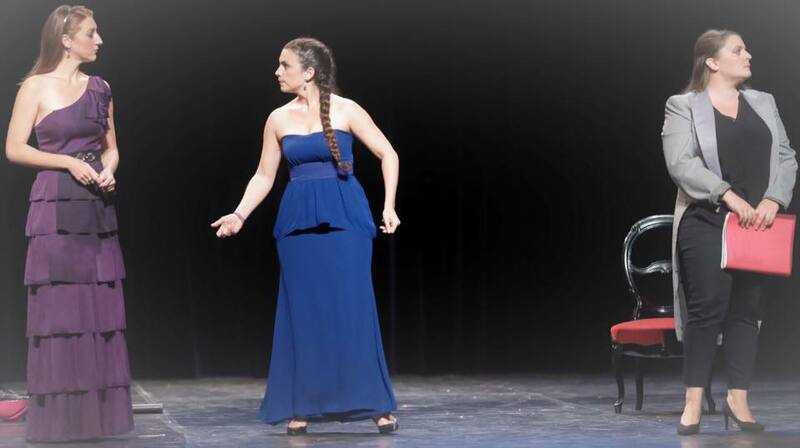 An operatic rehearsal becomes a hilarious piece of comic theatre. Sunday 23rd September, 17h, St Jean de L’Albere, Eglise St Jean. 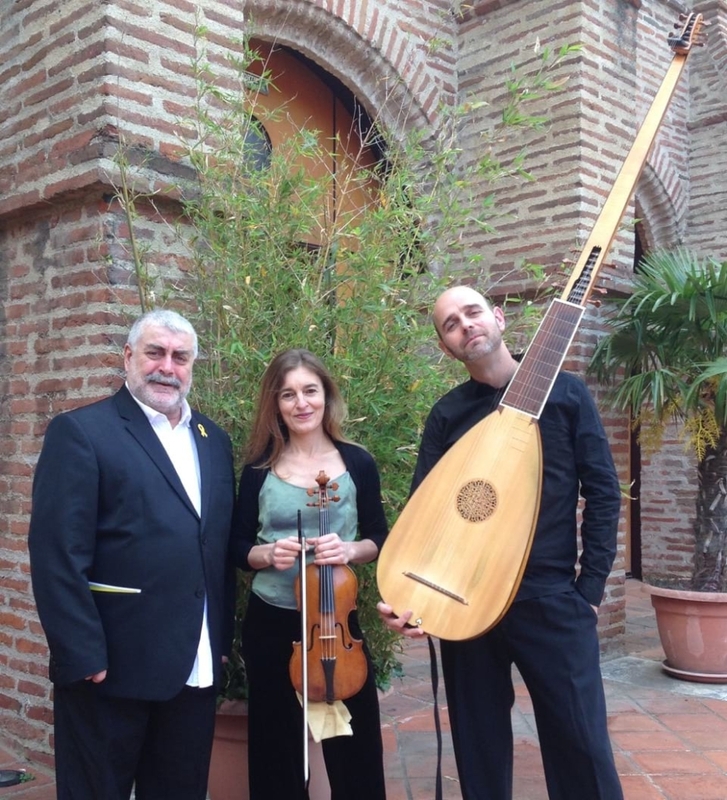 A musical voyage through 16th century Italian baroque, with lute (Jordi Gironès), violin (Gisèle Lopez) and the baritone voice of Josep Cabré. Sunday 30th September, 17h, Le Boulou, Les Echards. 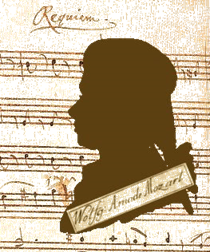 A magician named Mozart. (Requiem K626 and the Adagio Concerto 23 K488). 100 voices – uniting 3 choirs, from both parts of Catalonia, with 4 soloists and 23 musicians. Saturday 6th October, 17h, Taillet, Eglise St Valentin. 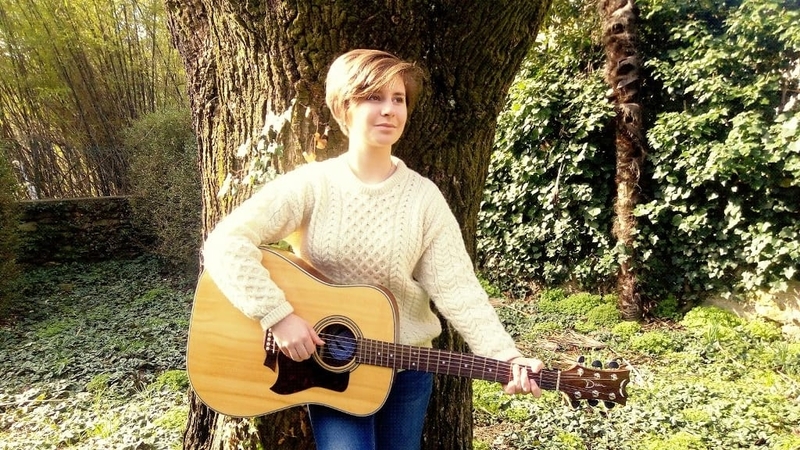 The young talent of Valentine Satou-Bineau (guitar and song) with a programme of Celtic music from Ireland, Scotland and Brittany. Sunday 7th October, 17h, St Jean Pla de Corts, Salle Polyvalente. 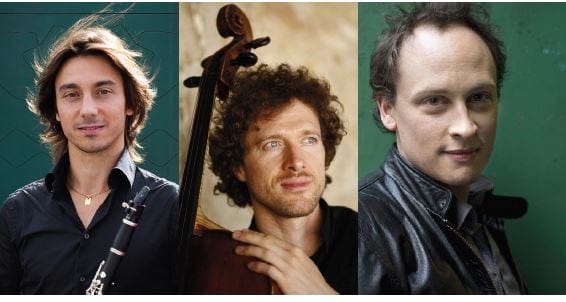 Grand concert ‘Clarinettes en fête’ with Florent Pujuila, Romain Descharmes (piano) and François Salque (cello). From Brahms to the Balkans, from South America to Beethoven. Sunday 14th October, 17h, Maureillas, Salle Communale. 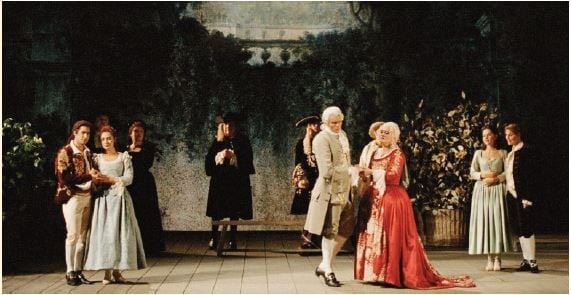 Christian Papis presents: Mozart’s ‘The Marriage of Figaro’, with the Choir ‘l’Accent Lyrique’ and 8 soloists, accompanied by Emilie Benterfa on piano. Saturday 20th October, 20h, Vivès, Salle Communale. 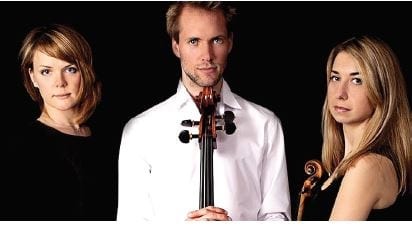 ‘Les Medicis” (violin, cello and piano). Rachmaninov, Mozart and Dvorak. Sunday 21st October, 17h, Les Cluses, Eglise St Nazaire (Les Cluses Hautes). Duo ‘Vagabonds’ (accordeon and double bass). 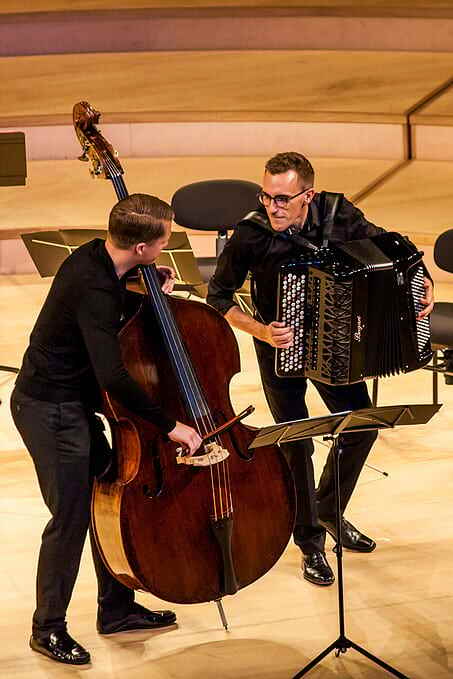 These two musicians present an eclectic and lively programme of music and voice. Sunday 3rd November, 20h, Céret, Salle de l’Union. 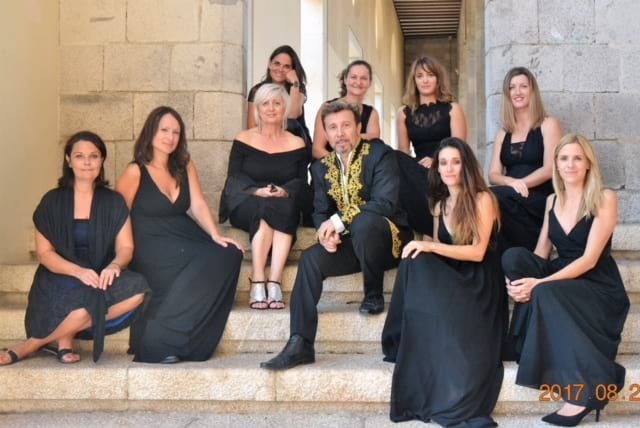 Christian Papis presents: ‘Gerardo’ opera by Bonaventure Petit, the Catalan composer, with the Choir ‘l’Accent Lyrique’ and 8 soloists, accompanied by Emilie Benterfa on piano. Saturday 10th November, 19h, Le Perthus, Salle Communale. 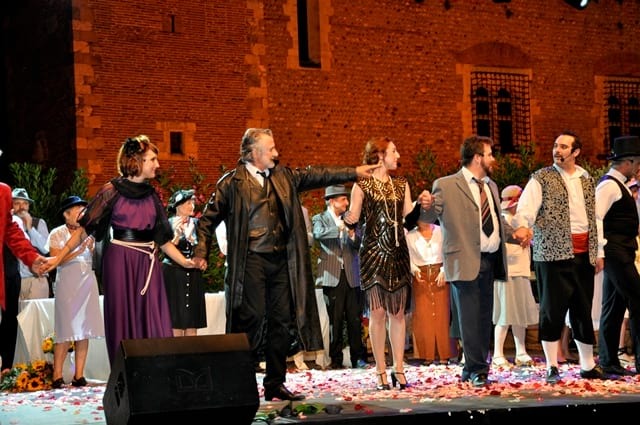 Closing concert of the Festival with the ‘Ladies Orchestra’ (10 musicians and a tenor), with a meal. Friday 30th November, 20h, Ceret Salle de l’Union. The Duo Fortecello with ‘Musiques du Monde’.